The groundwork is being laid for the first major projects to be built with Prop. V funds. At Grossmont College, design work is underway on an $82.7 million Arts and Communication Complex, with construction set to begin in February 2017. The facility will replace aging classrooms and include a new 350-seat theater and concert hall. An architect has been selected to begin the design process for the Science Math and Career Tech Complex, a $51.2 million project scheduled to start construction in September 2017. At Cuyamaca College, a new $11.5 million facility is planned to be built in 2018 for the college’s renowned Ornamental Horticulture Department. The space where the department is currently located will be razed to make way for a $34 million two-story Student Services building near the core of the Rancho San Diego campus. That project is currently in the design phase and is scheduled for construction in 2019. Also slated at Cuyamaca College are the track and field surfacing, the Exercise Science Building renovation, interim improvements to the existing One-Stop Student Services Complex, and reconfiguration to Building L.
Prop. V, combined with earmarked state funds and utility rebates, also funded three years of districtwide energy-related projects, which included: lighting fixture and controls upgrade for energy efficiency; lighting improvements in classrooms, parking lots and walkways; upgrades to more energy-efficient heating and air-conditioning systems; and replacing boilers and rooftop heating and air-conditioning (HVAC) units; and upgrading mechanical controls systems. Prop. 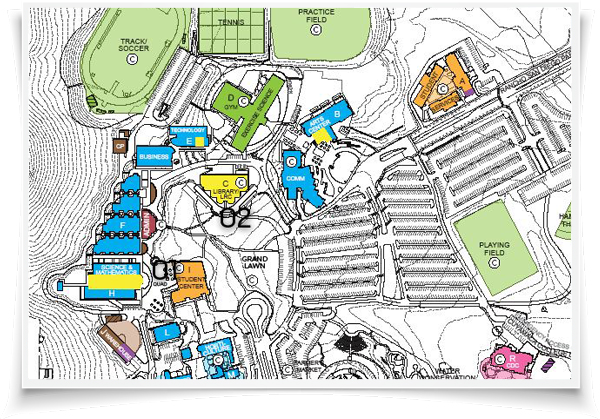 V funds were also used for the design phase of parking lot and roadway repairs and the installation of a new modular weight training classroom, both at Cuyamaca College. Recently completed construction projects at Grossmont College include reconstructed tennis courts with better durability and improved fencing, along with parking lot and roadway repairs. Governing Board president Bill Garrett said trustees appreciated the update on the facilities program so they are kept aware of the progress on improvements at the two campuses. Proposition V was the outcome of a two-year planning process during which a facilities master plan was developed, identifying more than $600 million in facility and technology needs at the two campuses, which enroll about 28,000 students. A key part of Prop. V is the existence of an independent citizen’s bond oversight committee made up of East County residents with expertise in construction, procurement and finance, as well as representatives of business, senior and taxpayer organizations. Additional information about Prop. V can be found at bit.ly/1LnX5Zq. ––Della Elliot is a communications officer for the Grossmont-Cuyamaca Community College District.